I have worked in the fitness industry since my early twenties and this has enabled me to try many different forms of exercise, but I found yoga fairly late. I must admit my previous stereotypical ideas were that yoga was just a bit of stretching and posing! How wrong I was! For the past 18 months I’ve been attending a thoroughly inspiring yoga class every week and now it has become an essential part of my routine. My favourite form of exercise is probably running, being outdoors with no co-ordination required - I find I can just switch off. The downside for me is that I rarely work on my core strength and general flexibility. This is where the yoga class has been a real godsend and has really improved my sense of balance. Whether I'm running or just moving generally, both my stability and co-ordination have improved since I took up yoga. 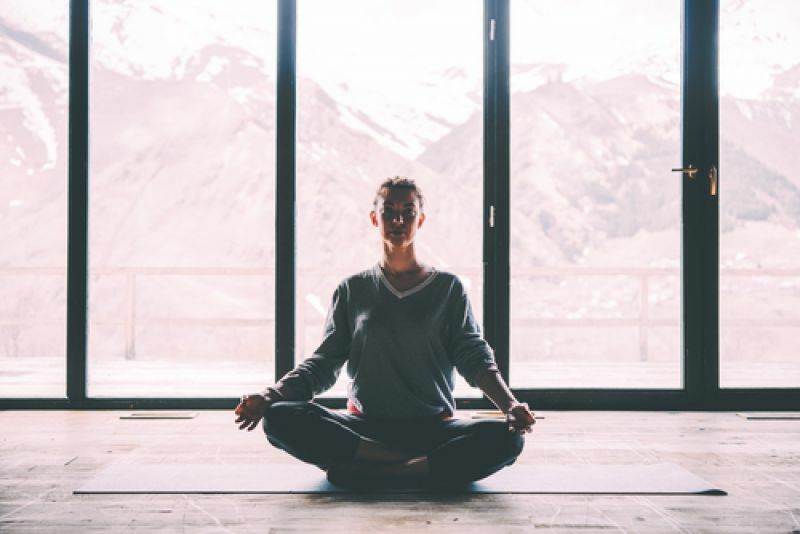 Read on to find out more about the different types of yoga available and some of the many benefits it might bring to you. Yoga is an ancient form of exercise that originated around 5,000 years ago in India, focusing on strength, flexibility and breathing. It aims to boost physical and mental wellbeing through a series of postures and stretches. Hatha yoga – a general category that includes many yoga styles and includes “asanas” or postures and “pranayama” breathing exercises to bring peace and relaxation, preparing the body and mind for spiritual practices such as meditation. Ashtanga - a modern form of yoga, developed in the 20th Century, which involves synchronizing the breath with a progressive series of postures. It tends to be quite energetic and physical. Iyengar yoga - concentrates on precision, alignment, balance and breath control to develop mobility, stability and strength. Sivananda yoga - focuses on the health and wellbeing of the person, includes relaxation and breathing techniques and is less athletic than the other forms. Yoga is a gentle discipline and suitable for all ages and levels of fitness. You can start slowly and built up your ability gradually. Anyone from young children to the elderly can enjoy yoga – it is non-competitive and you learn at your own pace. Yoga strengthens the lower body, knees and ankles, improving balance and co-ordination. Yoga improves flexibility, gradually increasing the mobility of muscles and joints and protecting them from injury. It can help in weight reduction, by making you more aware of your body and its range of movements. It improves your respiration, energy and vitality and can keep minor illnesses and colds at bay. It promotes deep relaxation and relieves stress. You may notice that you sleep better after taking up yoga. It promotes your cardio-vascular health and improves your circulation, reducing the risk of heart attacks and strokes. It can improve your athletic performance; many footballers use yoga to increase their functional strength, balance, flexibility, power, breathing techniques, visualizations skills, and focus. With the bending, stretching and twisting involved in yoga positions, the flexibility of the spine is improved. Some of the weight-bearing exercises involved in the more advanced yoga poses help strengthen the bones. It is also believed that yoga’s ability to lower the stress-inducing hormone, cortisol, may help keep calcium in the bones and prevent fractures. Yoga can boost your self-esteem, relieve depression and make you feel happy and positive, especially if you join a class. Yoga can improve your concentration and memory. So yoga isn’t just for gurus – it’s a gentle form of exercise that offers many health benefits and is a great adjunct to your overall fitness regime. You should try it!